If you’re interested in learning more about Unique Biomass Thermal Energy Deployments in the Upper Midwest, join us on April 10 at the 2017 Heating the Midwest Conference & Expo, co-located this year with the International Biomass Conference & Expo at the Minneapolis Convention Center in Minneapolis, MN. One deployment for highlighting during the conference panel is a Community Center Wood Chip Storage, Handling and District Heating system slated for summer 2017. The project will utilize self-sourced wood chips in a new hot water district heating system to meet 88 percent of the heating requirements for the community center. An annual savings of $28,000 will be realized using wood chip fuel and 85 tons per year of carbon dioxide emissions will be avoided. This installation will serve as a template for future installations. To learn more about this biomass project and equipment attend the Biomass Preparation, Handling and Storage Workshop being held in conjunction with many other conference events on April 10-12, 2017. Register today at 2017 International Biomass Conference and Expo and the Heating the Midwest with Renewable Biomass Conference. 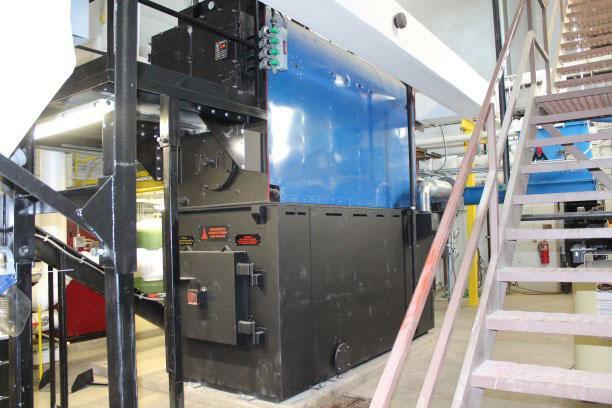 After 30-plus years of operation, a biomass heating system at a school in Michigan’s Upper Peninsula was replaced by the company that originally built it. In January 1982, the same year that a small welding and manufacturing company in Bark River in Michigan’s Upper Peninsula was officially incorporated, it built and installed a biomass heating system at the nearby North Central Area’s high school building in Powers, MI. Washington, DC, February 27, 2017 – The Biomass Thermal Energy Council (BTEC) is pleased to welcome David Bancroft as its new Technical Engagement Manager. David has a broad range of experiences in government, non-profits, and renewable energy over a 30-year career. In addition to augmenting BTEC’s management team, he will be the lead on BTEC’s technical projects. Congratulations to Itasca Community College on the install of your new Messersmith Biomass Boiler. Itasca was founded in 1922 as a two year public college. They serve 1200 students with 40 full time faculty. The average class size is 24 students. The main focus is in Natural resources, pulp and paper, geographic information systems and power generation- to name a few. The use of forest residue as a heating fuel has a great potential to provide a renewable, clean source of energy while investing in rural economies. For more detailed information on the Biomass Combustion Technologies Action Team, please contact Andrew Murray (andrew.treeguy@gmail.com); for the Biomass Policy & Benefits Action Team, please contact Marcus Grubbs (marcus.a.grubbs@gmail.com); and for details pertaining to the Biomass Resources & Demographics Action Team, please contact Becky Philipp at bphilipp@auri.org or via phone at (218) 280-8575.